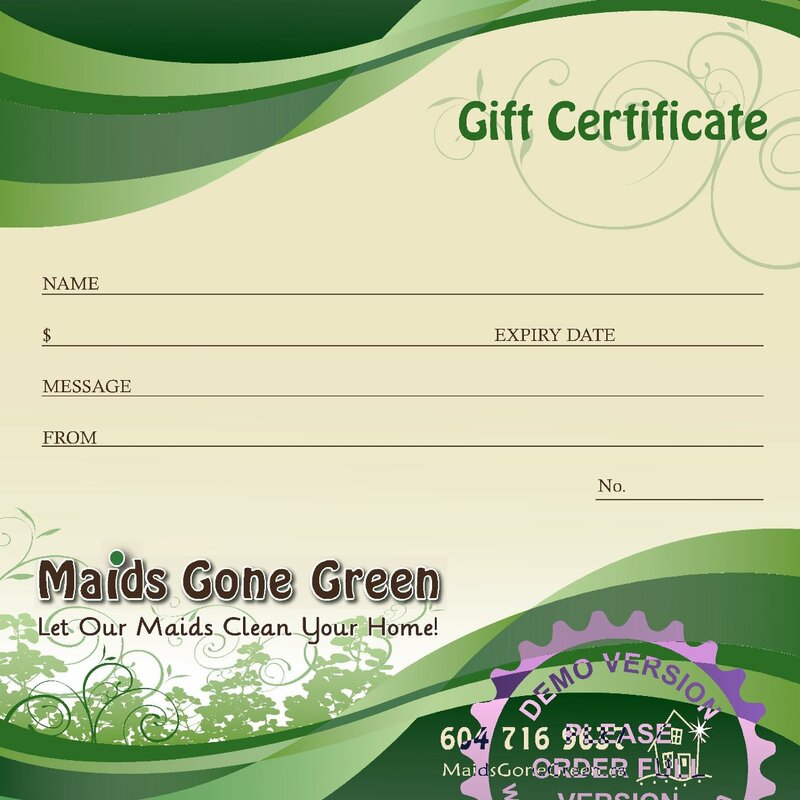 Who would love to recieve a Maids Gone Green gift certifcate from you? New Moms and Dads! A free maid service is the perfect gift at a baby shower. New home owners! A fantastic gift to give before or at a house warming party. Wedding/Engagement Gift! For a couple that has everything you can give a package of cleaning appointments. Birthday Gift! Any busy person will appreciate skipping house cleaning duties. Thank You Gift! Did someone do a big favour for you and you just can't thank them enough? Some of our happiest customers are people that recieved a cleaning gift certificate from a friend or family member. Imagine someone who has never hired a maid before and then one day a team of professionals makes their house look perfect! It's amazing to see how a clean house can make a person so happy. If you would like to purchase a gift certificate we can mail it to you or directly to the recipient, just phone to place your order.